The Book Garden: The Reading Files - I deserve a medal for that! It's done. Finally. After almost getting knocked out by the tome from hell on the final night of reading the last few pages (think tome goes tomb) I am happy to announce that I am through with my 1.200+ pages brick. Form here on out only light reads shall pass my way, for the time being at least. I mean, it's not as though that would have been the last heavy book on my TBR piles *sigh*. Limit (Frank Schätzing) German Ed. Thoughts. A tech-thriller set in the near future with a multitudinous cast, minutely detailed descriptions, stilted narrative, hopelessly drawn out (400 pages would have fit the plot quite nicely) and, oddly enough, considering the word count, too little depth. Add a not all that surprising story line and ending which makes you wonder why I even bothered to finish the book. Verdict. An all around disappointing novel about the future of energy! Thoughts. Being on Facebook myself, quite a lot (though not as much as I used to) I was already familiar with many of the "signs" in this illustrated book. The cartoons lack charm, yet fit the theme well enough. Might make for a neat gift idea though! Random sign of FB addiction. You've already created a page for your unborn child. Verdict. 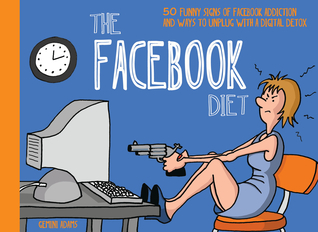 Fun yet not overly surprising cartoons about being on FB (too much)! Thoughts. Her sister jumps to death and dead men start washing up on the shore, all smiling. A bit of sleuthing, a bit of romantic feelings, a bit of dipping into mythology, all wrapped up into a lukewarm story which had so much potential but drowned with its stale characters and uneventful plot. Last words spoken. It helps me breath. Verdict. 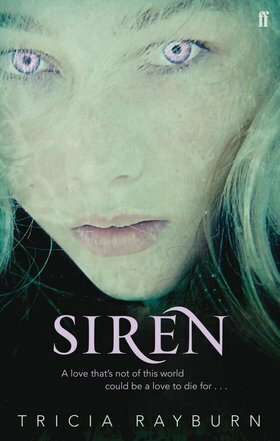 A rather bland romance that takes on the siren myth! BTW I'm not even sure whether "Limit" is even available in English? If not, that's probably not a bad thing. If yes, I feel sorry for the translator.